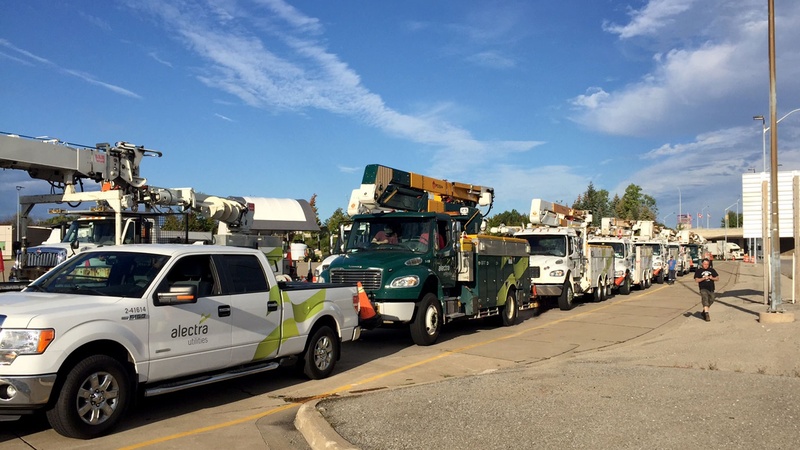 HAMILTON, ON--(Marketwired - September 19, 2017) - Their job done, and power restored to most Georgia customers in the aftermath of Hurricane Irma, Alectra Utilities powerline crews are now headed north to New York. With Hurricane Jose in the forecast, Alectra Utilities crews are expected to arrive in Long Island, NY this morning. PSEG Long Island is pre-positioning its storm response resources and have requested the 36 Alectra Utilities line staff and more than 20 bucket trucks and support vehicles returning from Georgia to be on-site in anticipation of the impact of the storm. The costs incurred by Alectra Utilities for crews and service trucks to travel and work in New York will be borne by PSEG Long Island. Alectra Utilities and PSEG Long Island are members of the North Atlantic Mutual Assistance Group, one of seven regional electricity mutual assistance groups that operate in North America. The power system is an interconnected network, and restoring service to the grid goes faster when utilities can share resources to make the necessary repairs. Utilities address these resource constraints by using mutual assistance programs that allow companies to pool resources to meet their shared needs during emergency events. Alectra's family of energy companies distributes electricity to nearly one million customers in Ontario's Greater Golden Horseshoe Area and provides innovative energy solutions to these and thousands more across Ontario. The Alectra family of companies includes Alectra Inc. (Mississauga), Alectra Utilities Corporation (Hamilton) and Alectra Energy Solutions (Vaughan). Alectra Utilities crews stop for fuel and food outside Washington, DC as they head to Long Island, NY to assist in anticipation of the impact of Hurricane Jose.